A longtime legal adviser to President Trump says he's warned the president that his attorney Michael Cohen would turn against him and end up cooperating with federal prosecutors should he face criminal charges stemming from a raid of documents found in his home, office and hotel room. In an interview with CBS News' Andy Triay, Jay Goldberg, a lawyer who represented Mr. Trump through much of the 1990's and early 2000's in real estate and divorce proceedings, confirmed the president had called him last Friday, and he told the president that he should have concerns about Cohen. Cohen has been under criminal investigation for months over his personal business dealings. 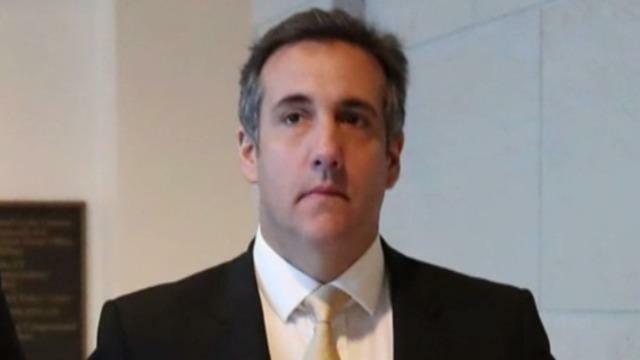 "There is virtually no chance that Cohen, would not try to win the affection and cooperation of the U.S. Attorney and thus, he would like all other persons, accused of crime, where the penalty is substantial, he would give support for the government's version of the facts," said Goldberg. He added, "To avoid jail, Michael could do what so many witnesses do – he could add to the facts, he could change to the facts, he could implicate the President when the President has done nothing… So it's a two-fold problem – it's cooperation in quotes, and saying what he thinks the government wants to hear, so that he can win the cooperation of the government to get himself a minimum sentence." In an earlier interview with the Wall Street Journal, Goldberg reportedly told Mr. Trump that on a scale of 1 to 100, where 100 is entirely protecting the president, Cohen "isn't even a one." "Michael will never stand up [for you]" if charged by the government," Goldberg told the Journal when recalling his conversation. The lawyer had advised the president that the sheer volume of correspondence seized and the possible pressure applied by the federal government was enough to crack Cohen, potentially putting the president at further legal risk. "The mob was broken by Sammy 'The Bull' Gravano caving in out of the prospect of a jail sentence," Goldberg told the Journal. CBS News' Jeff Pegues reports according to sources close to Cohen that the raids have indeed squeezed him, creating great pressure. Those close to Cohen are concerned he could turn against the president and cooperate with investigators. Goldberg also reportedly warned the president during the call against participating in an interview with Special Counsel Robert Mueller as part of his ongoing Russia investigation. The Journal reports that he told the president "talking is a certain trap...don't ever do it." Goldberg also joined the chorus of other Trump allies in urging him to fire Deputy Attorney General Rod Rosenstein. On Monday Judge Kimba Wood ordered prosecutors to catalog the material seized from Cohen and load it into a searchable database and then share it with defense attorneys. Prosecutors were told not to review the contents of the material at this time, but they could do a search of keywords to determine in part the volume of material. They said they could begin to make some material available within days.